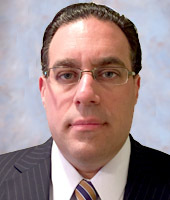 Mr. Levy is Vice President of Asset Management for Ivy Realty. He is responsible for financial, leasing and operational performance of one million square feet of Ivy’s Westchester, NY portfolio. Prior to joining Ivy, Mr. Levy spent four years at SLX Capital Management as Asset Manager. While at SLX Capital he was directly responsible for managing all facets of a multi-building portfolio which included commercial, retail, industrial and residential properties. Mr. Levy prides himself on being a detail oriented professional who is always focused on getting the job done while maintaining exemplary tenant relationships. From 2001-2011, Mr. Levy spent ten years as a commercial real estate broker in New York City where he represented over 2.5 million square feet of office and retail space as Sr. Executive Director for both institutional and local real estate investment companies. Mr. Levy received a Bachelor’s degree in Communications from Quinnipiac University. Mr. Levy serves on the Executive Board of Trustees for Temple Beth Rishon in Wyckoff, NJ.